The story of Lovell in the 20th century cannot be told without a considerable amount of attention paid to Severance Lodge. 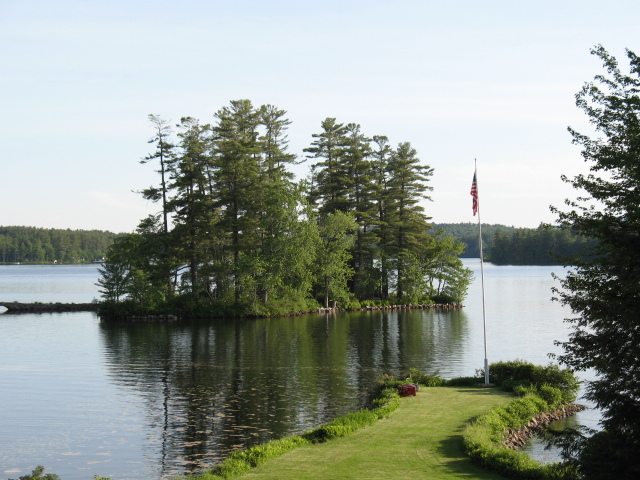 Located on the eastern shore of Kezar Lake's Middle Bay, Severance Lodge has majestic views up and down the lake as well as the White Mountains to the west. Over the decades, Severance Lodge served as an introduction to the region for many guests with some deciding to have a primary or second home in Lovell. Carol Severance Taylor's new book, Woodsmoke, The Story of Severance Lodge, tells the historic development of the Lodge with wonderful pictures and stories from her father, Harold. Looking at a Rate Schedule from the 1950's, you have to wonder how the family was able to treat the guests with such luxury on a daily rate of $13-16 per person! My father-in-law, Al Stearns, worked as a waiter in his teen years and his favorite Severance story is about the time he received a canvas canoe as a tip rather than cash from a Lodge customer. He didn't appreciate it then but he now treasures the canoe. Severance Lodge served as an employment center for many of the local youth. By no means was it cushy job. Harold Severance and his management team had high expectations and you didn't last long if you didn't perform. Strong life lessons! Carol grew up in Lovell at the Lodge and attended the Fryeburg Academy. She and her husband Hal still have a home in Lovell and are active members of the community. This book is a perfect addition to your library. In addition, Carol is donating proceeds to Camp Susan Curtis in Stoneham. Woodsmoke is available for purchase for $20 at the Lovell Historical Society, the Charlotte Hobbs Memorial Library, Kezar Realty, Bridgton Books and White Birch Bookstore. Or contact Carol at halandsev@aol.com. Be prepared to have a fun day in Lovell this Saturday, August 15th while supporting two local institutions! 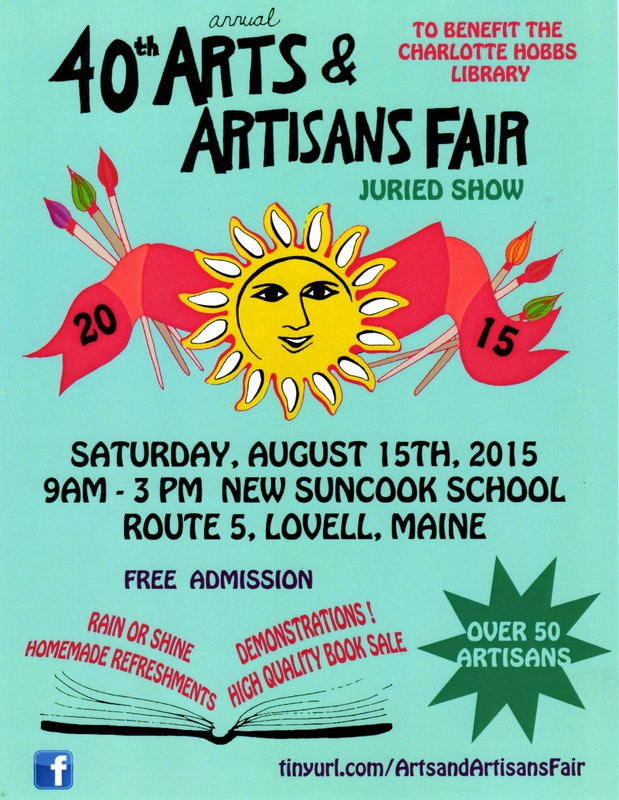 The day starts at 9 am with the 40th Annual Lovell Arts and Artisans at the New Suncook School on Route 5. Every exhibitor's wares are reviewed by a jury so the quality of the merchandise is high. A number of new artisans will be at the show this year joining returning favorites from previous fairs. Be sure to enjoy some wonderful homemade lunches and desserts, the popular used book sale and don't forget to enter the raffle for a chance to win one of ten prizes donated by the artists. Admission is free and the event is held rain or shine! All proceeds benefit the Charlotte Hobbs Memorial Library. 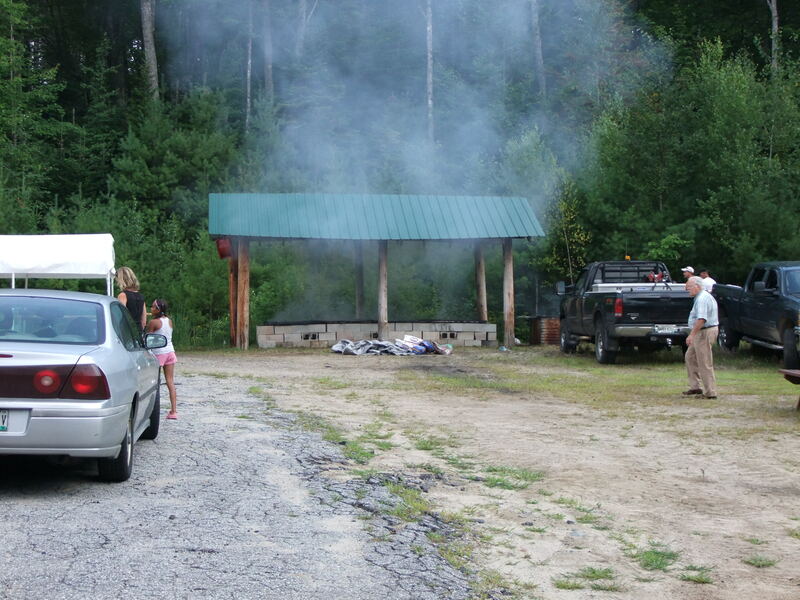 After a swim in the lake and a quick nap, satisfy your hunger with a delicious Chicken BBQ meal at the Center Lovell Fire House. 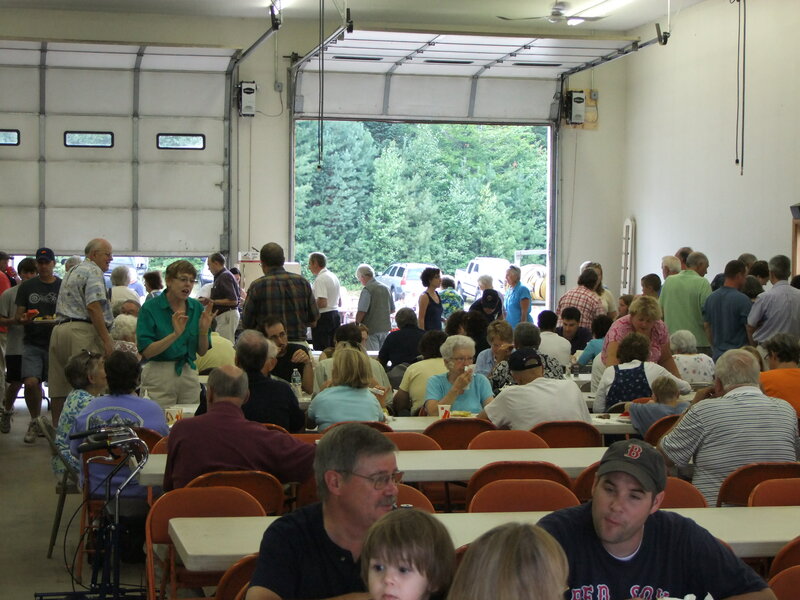 From 4-7, the Fire Department will be serving barbecued chicken, fresh corn on the cob, salads, watermelon and ice cream! Enjoy your meal inside or outside or take it to go. A great bargain for only $9. Stop in and support the Lovell Volunteer Fire Department! Recently published, 'our kezar' collects images taken by three photographers, all with long-times to Kezar Lake, Lovell and western Maine. Starting with Spring, the photos are grouped by the four seasons and capture scenes that are both familiar yet presented with a fresh twist. (perhaps a slight bias here, but I sure do love the Old Home Days' photos). The three photographers (Lee Conary, Kenneth Goldman and Kelly Rickards) bring their different perspectives to produce a book that everyone will enjoy and appreciate. The assortment of photos reinforces in a magnificent way the beauty of our region. 'our kezar' is available for purchase at stores around town as well as through the Lovell Historical Society's website (10% of the price will be donated to the Society). Perfect for gifts as well as your camp's coffee table! Woke up this morning to the news that William Donald Schaefer, former Mayor of Baltimore and both Governor and Comptroller of Maryland, passed away at age 89. When we moved to Maryland in 1984, Mr. Schaefer's reign as Mayor was nearing its end as he had his sights set on Annapolis. He was a master of leveraging state and federal funds to redevelop large areas of the city, including the Inner Harbor. One of his great urban renewal achievements was the One Dollar homes in the Otterbein section of downtown. Ambitious homesteaders were given abandoned homes to renovate. The neighborhood, sandwiched between the Inner Harbor and Camden Yards, still thrives today. I got to meet him a few times while in Annapolis and a number of our friends worked for him while he was Mayor. He was larger than life and demanded the most out of his staff. His most famous saying was "Do It Now!" and he got angry when people didn't follow his orders. He was also known to write long letters both to supporters and to constituents who were not too fond of him. And he also appeared at more than one house, unannounced, to tell the resident that he did not agree with their point of view. Our old Baltimore friend, C. Fraser Smith, wrote the definitive biography of this larger than life politician, "William Donald Schaefer: A Political Biography". Although a very driven man and with no wife or family, he ended up a lonely man. His work was his life. And he was crushed when he lost his 2006 reelection bid for Maryland Comptroller. He knew his public life was over. I know that not too many folks in Maine know of Mr. Schaefer, or perhaps care, but he was a man with great vision and worked hard to see that his vision was fulfilled. To see his legacy, one only needs to visit Baltimore where the Mayor transformed a dying industrial city into a vibrant one. I lived in Hyattsville Md. for more than 40 years. Thanks for sharing because I did not know Mayor Schaefer he had passed. Author, and Fryeburg Academy graduate, David Rohde's discussion of his book on Monday evening to a large audience was informative and enjoyable. Co-author and spouse, Kristen Mulvihill, was scheduled to attend but a sprained ankle and a sick daughter kept her from attending. In addition to discussing details of his kidnapping and time in captivity, David spoke at length about the values he learned at the Academy as well as the enduring friendships that enabled him to deal with the uncertainty of his survival. After his presentation, David invited Shafi Mujadadi up to the stage for a joint Q & A session. Shafi is a student from Kabul who was able to provide a native's perspective of the Taliban and the ongoing war in Afghanistan. For more details, here is the Bridgton News story. It is only a coincidence that I'm reading two consecutive books about men who were held in captivity during a war (see Unbroken). I have had A Rope and a Prayer on my radar screen since it was published last year. You may recall hearing about the New York Times journalist, David Rohde, who was kidnapped in Afghanistan by Taliban fighters. For negotiation purposes, the family and the newspaper decided to keep his ordeal a secret. Seven months later, David managed to escape unharmed from his captors. He had been taken to a Taliban compound in Pakistan. The book is co-authored by his wife, Kristen Mulvihill, who had just started working at Cosmopolitan as a photo editor when the kidnapping occurred. David, from Pakistan, and Kristen, from the United States, provide the details of their seven months of uncertainty. And here is an unexpected bonus--tonight, David Rohde will be discussing his story at the PAC. David is a graduate of Fryeburg Academy and he spoke with the students this afternoon. My daughter said his story is very impressive. I'm sure this isn't a regular stop on his book tour!